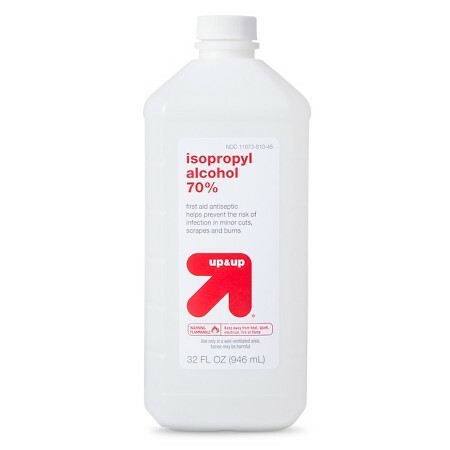 Isopropyl Alcohol is a colorless and combustible liquid that is found in just about any home cabinet as rubbing alcohol and is used in many cleaning agents. It is found in a large range of hair and body care products, especially in hair color rinses and skin astringents. Short-chain alcohols inclusive ethanol, SD alcohol, SD alcohol 40, Alcohol denat, Propanol, Propyl alcohol and Isopropyl alcohol. These alcohols evaporate quickly and because of this are often used as an additive to help decrease the time it takes for hair to dry. This can create dry, frizzy hair as it may cause the cuticle to be roughened and/or oil and water to be removed from the hair along with the alcohol. How can you tell if it is the main ingredient? Simple, the ingredients listing on any product puts them in order from most to least by weight. The first ingredient is the main ingredient. Any ingredients listed in () are the ingredients found in the ingredient preceding the (). The rule of thumb is the first 5 ingredients makes up the majority of what ever food or product you've purchased.